A new study reports high sugar and fat based diets that lead to obesity, coupled with the normal aging process, may increase the risk of Alzheimer’s disease. By my reckoning that means the older we get the more we need to pay attention to what we are eating and the amount we are exercising. Eat less; move more; live longer. For heaven’s sake, don’t wait till you are a senior to get on the exercise and good eating regime. Clearly, the earlier you start, the better of you are. A new study suggests that when a high-fat, high-sugar diet that leads to obesity is paired with normal aging, it may contribute to the development of Alzheimer’s disease. In addition, researchers discovered that certain areas of the brain respond differently to risk factors associated with Alzheimer’s. The study is published in Physiological Reports. Dementia affects the person diagnosed but also raises fears for siblings and children. Here are the facts. I have three cases of Alzheimer’s/dementia on both sides of my family, including mother, aunt and grandfather. So, I am extremely sensitive to any information on the subject of cognition and aging. One of the aspects of Alzheimer’s that few people consider, until a loved one becomes afflicted, is that the relatives and people who care about the person suffer greatly as they see a person they loved deteriorate mentally and physically before their eyes. It also raises the specter of – what about me? Will I get it, too? Here is a good no nonsense discussion from Harvard Men’s Health Watch. Alzheimer’s disease represents a personal health crisis, but it’s also a family concern. What does it mean for your children or siblings if you are diagnosed with Alzheimer’s? What does it mean for you if a close relative develops the condition? I have written about the value of sleep for some years here. It along with walking are two of the most unappreciated aspects of living a healthy life. You can check out my Page – How important is a good night’s sleep? for more details. I wanted to share the following video with you as it highlights another aspect of the value of a good night’s sleep. Dr. Breus is a clinical psychologist, and is known for his expertise on sleep and health. He’s a fellow of the American Academy of Sleep Medicine,. Poor sleep literally causes dementia. It’s one of the causes, and fixing it is one of the ways you can reverse dementia. Dr. Breus explains exactly how lack of sleep affects your body and brain, and how disturbances in your sleep cycles can “turn on” the progression of dementia, and cause many other serious health problems too. The good news is that you can avoid mental and physical disorders that poor sleep causes by following easy, at-home recommendations Dr. Breus will give you to cure sleep disorders and sleep peacefully all through the night. In the brains of Alzheimer’s patients, many of the genes required to form new memories are shut down by a genetic blockade, contributing to the cognitive decline seen in those patients. MIT researchers have now shown that they can reverse that memory loss in mice by interfering with the enzyme that forms the blockade. The enzyme, known as HDAC2, turns genes off by condensing them so tightly that they can’t be expressed. For several years, scientists and pharmaceutical companies have been trying to develop drugs that block this enzyme, but most of these drugs also block other members of the HDAC family, which can lead to toxic side effects. The MIT team has now found a way to precisely target HDAC2, by blocking its interaction with a binding partner called Sp3. “This is exciting because for the first time we have found a specific mechanism by which HDAC2 regulates synaptic gene expression,” says Li-Huei Tsai, director of MIT’s Picower Institute for Learning and Memory and the study’s senior author. I have mentioned numerous times how much concern I have regarding dementia and Alzheimer’s disease because three of my close family members suffered from one or the other of them. To clarify: Dementia is not a disease but a group of different diseases characterized by the gradual worsening of cognitive abilities. Dementia is seen across all ethnic groups and increasingly so with advancing age. Among 65–69-year-olds, about 2 percent are afflicted, with this figure doubling for every five years of age. Alzheimer’s is the most common form of dementia. 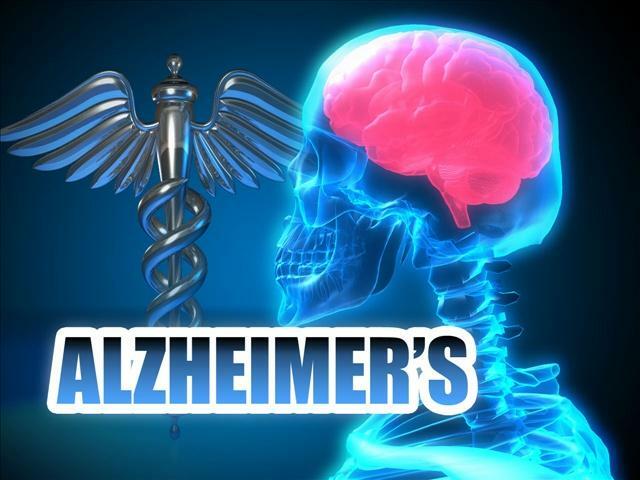 Alzheimer’s accounts for 60 to 80 percent of cases. In fact, Alzheimer’s is the second most feared disease, behind only cancer. So, I am not alone in my concern. Although it is said a person with Alzheimer’s can live from two to 20 years, my understanding is that few make it beyond 7 years. Harvard Medical School has released a new study on it. They point to age, gender and family history as factors outside our control regarding the disease. On a positive note, everything I support in this blog works to lower Alzheimer’s risk – exercise, watching your weight and eating right. Harvard said, “While there are no surefire ways to prevent Alzheimer’s, by following the five steps below you may lower your risk for this disease — and enhance your overall health as well. 1. Maintain a healthy weight. Cut back on calories and increase physical activity if you need to shed some pounds. 2. Check your waistline. To accurately measure your waistline, use a tape measure around the narrowest portion of your waist (usually at the height of the navel and lowest rib). A National Institutes of Health panel recommends waist measurements of no more than 35 inches for women and 40 inches for men. 3. Eat mindfully. Emphasize colorful, vitamin-packed vegetables and fruits; whole grains; fish, lean poultry, tofu, and beans and other legumes as protein sources; plus healthy fats. Cut down on unnecessary calories from sweets, sodas, refined grains like white bread or white rice, unhealthy fats, fried and fast foods, and mindless snacking. Keep a close eye on portion sizes, too. 4. Exercise regularly. This simple step does great things for your body. Regular physical activity helps control weight, blood pressure, blood sugar, and cholesterol. Moderate to vigorous aerobic exercise (walking, swimming, biking, rowing), can also help chip away total body fat and abdominal fat over time. Aim for 2 1/2 to 5 hours weekly of brisk walking (at 4 mph). Or try a vigorous exercise like jogging (at 6 mph) for half that time. 5. Keep an eye on important health numbers. In addition to watching your weight and waistline, ask your doctor whether your cholesterol, triglycerides, blood pressure, and blood sugar are within healthy ranges. Exercise, weight loss if needed, and medications (if necessary) can help keep these numbers on target.” For more on ways to prevent Alzheimer’s you can order A Guide to Alzheimer’s Disease from Harvard. This seems to be more good news about Alzheimer’s disease which ravages our older population. *One in nine people age 65 and older suffers from Alzheimer’s Disease. *About one in three people over age 85 has it. *Some 81 percent of people who have Alzheimer’s are over 75 years old. As I have lost three close family members to Alzheimer’s and dementia, I have a keen interest in the subject. Check out my Page – Important Facts About Your Brain (and Exercise benefits) to learn more. This belief about ageing may protect against memory loss linked to Alzheimer’s. Holding more positive beliefs about ageing may protect against Alzheimer’s disease, a new study finds. The results come from one of the longest-running studies of ageing in the US. People who thought of the old in negative terms, such as being decrepit, were more likely to show signs of Alzheimer’s themselves. “We believe it is the stress generated by the negative beliefs about aging that individuals sometimes internalize from society that can result in pathological brain changes. Brain scans of participants found that those with negative ageing beliefs had smaller hippocampi.